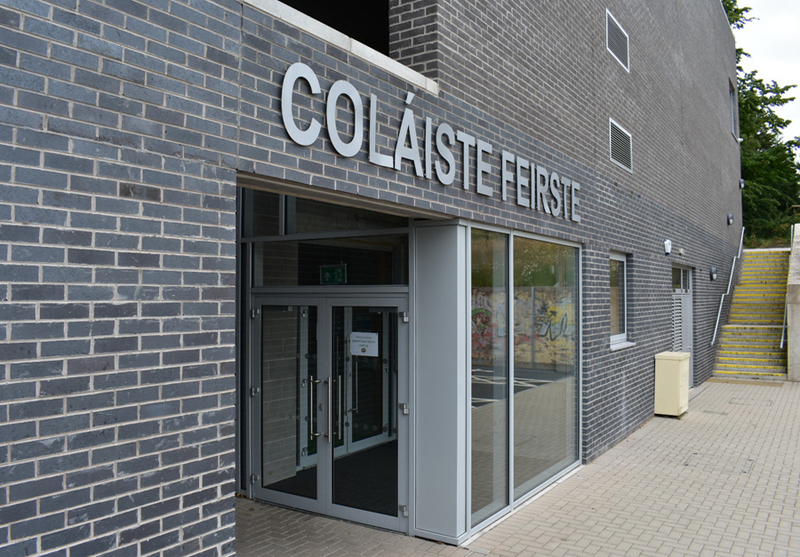 Colaiste Feirste is the only secondary level irish medium school in Belfast. 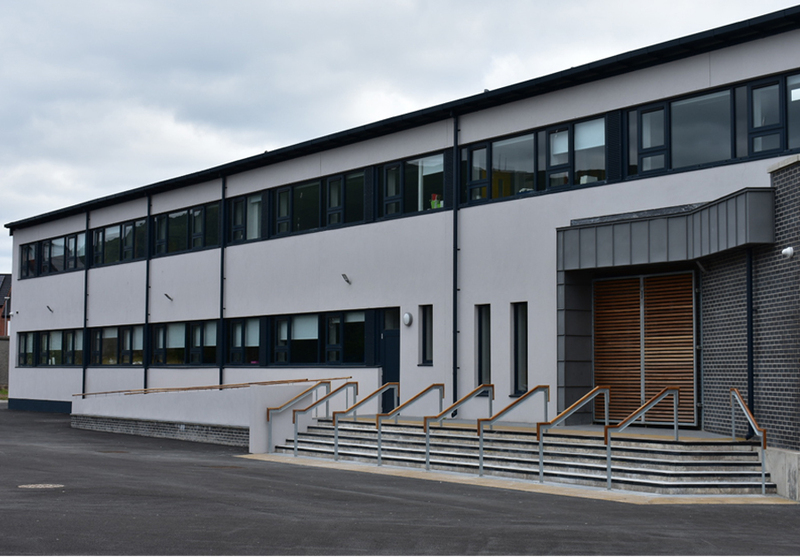 Founded in 1991, the school can accommodate 630 pupil. 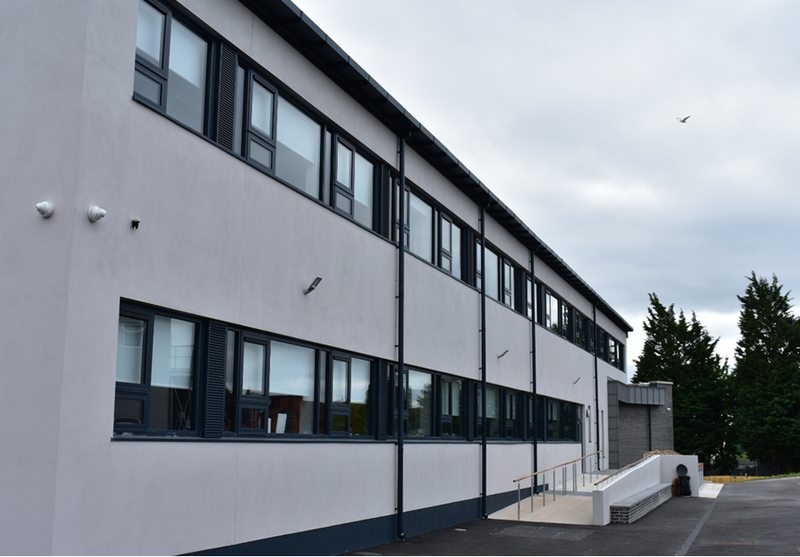 The school is situated on the Falls Road in the west of the City. 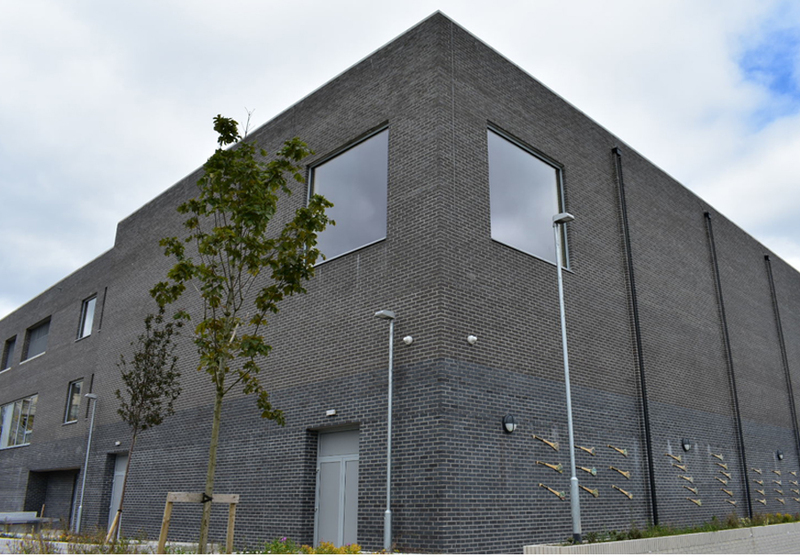 IAT installed all external windows, doors and curtain walling to this project. 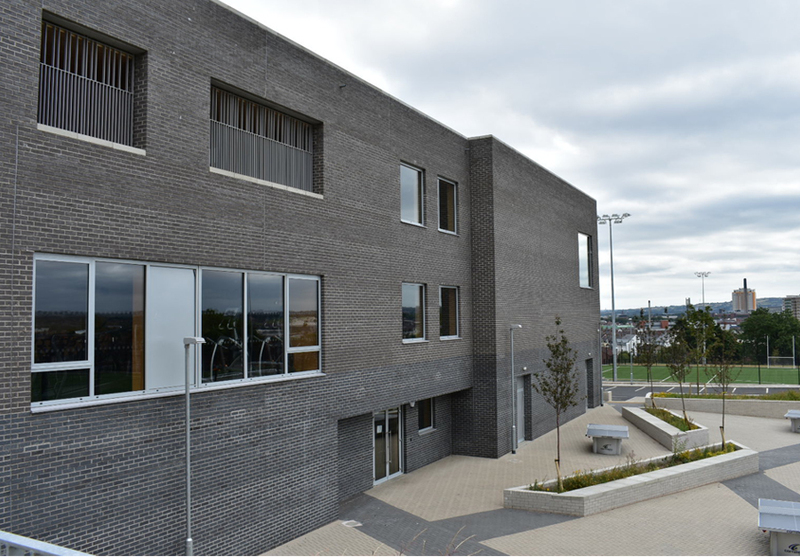 The installation was divided between two live sites, one being the new teaching 3 storey block and the other was the new state of the art sports block. 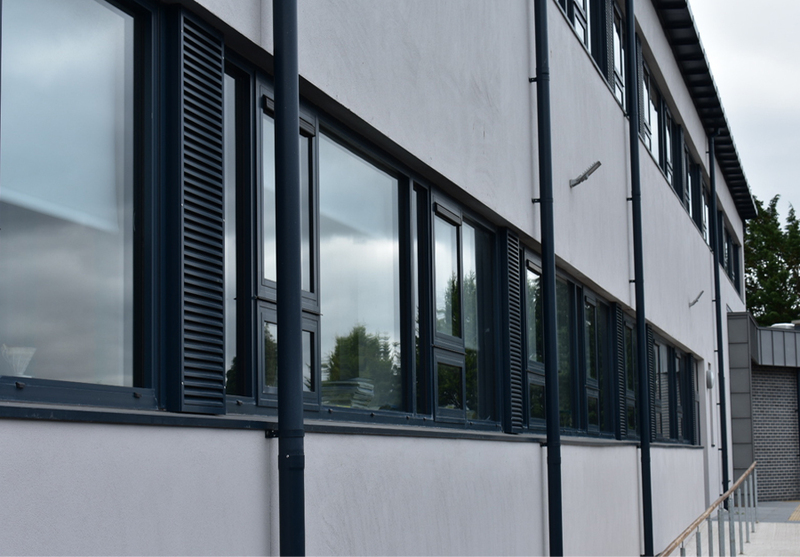 The main issue that had to be addressed, was that all these works were all completed in a “Live environment” meaning that the day to day running of the school was not to be interrupted and all disturbances where kept to a minimum. Working in tandem with the Main Contractors Policy’s there was no significant issues. 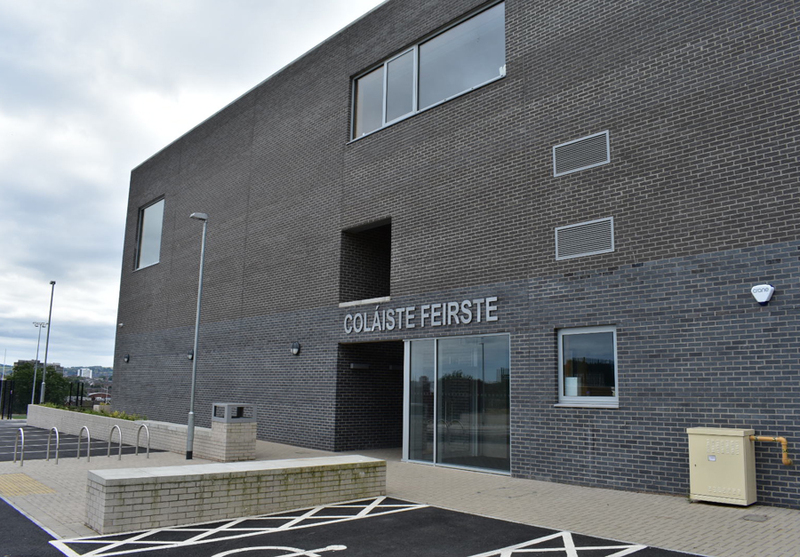 The Colaiste Feirste Project was one of the largest projects that IAT was awarded by Woodvale Construction. 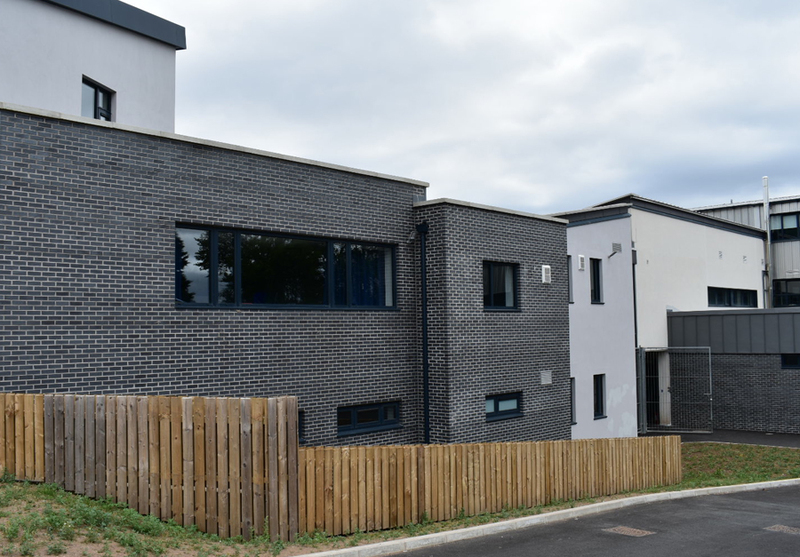 This showed the Design Team that IAT have the capability and knowledge to deliver a project of this size on time and budget. 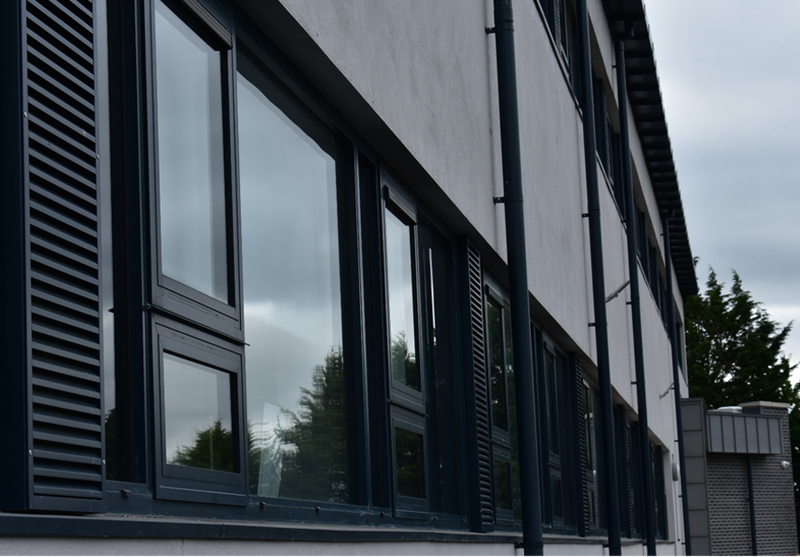 Innovated Aluminium Technology (IAT) use Metal Technology who are one of the leading system suppliers throughout the UK and Irish markets for Curtain Walling, Windows and Doors.